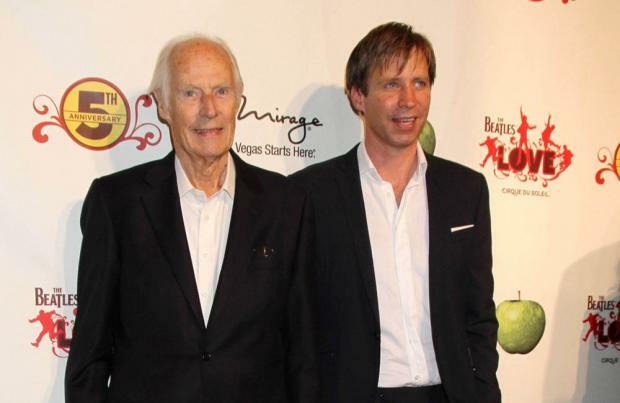 Fifth Beatle Sir George Martin’s son Giles has been named Head of Audio and Sound at Universal Music Group. Grammy Award-winning producer Giles, 49, has taken on the newly created global role at the record label which will see him lead Universal’s exploration and adoption of emerging audio formats and consumer technology. Giles will be based in Abbey Road Studios in London a location closely associated with his late father and The Beatles – who recorded almost all of their albums and hits there between 1962 and 1970 – and he has a long-standing relationship with the studio after working there as a music producer, composer and arranger. In a statement, Giles said: “The landscape of the way people listen to music has changed dramatically. This is an exciting time. Universal Music UK chairman and CEO David Joseph added, “We’ve worked very closely with Giles through his work with The Beatles at Abbey Road and he’s increasingly become part of the wider Universal Music family. As well as being an innovative and exceptionally versatile producer, he shares our passion for excellence in how music is heard. 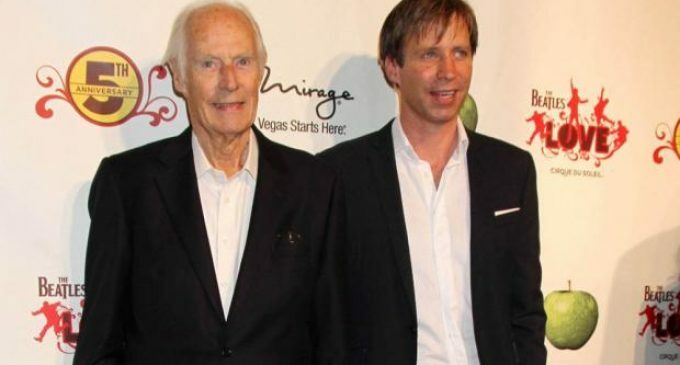 In 2006, Giles co-produced the ‘LOVE’ soundtrack, an album of remixed and remastered Beatles’ music with his dad George – who died in March 2016 at the age of 90 – for the Cirque Du Soleil Las Vegas show of the same name and he has just overseen the 50th anniversary reissue of the Fab Four’s seminal ‘White Album’, which will be released next month. Continuing his father’s Beatles legacy he also worked on Ron Howard’s documentary ‘The Beatles: Eight Days A Week – The Touring Years’ and Martin Scorsese’s film ‘George Harrison: Living in the Material World’. He also worked with Beatles member Sir Paul McCartney on his 2013 album ‘NEW’ and has produced the music for the forthcoming Sir Elton John biopic ‘Rocketman’.